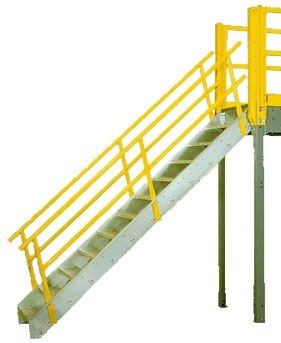 Ideally for machinery repair, inspection or observation, Equipto Bridge Catwalks can be combined with stairways and ships stairs to create complete structures. Versatile, pre-fabricated for easy assembly, and engineered for maximum safety and performance. Stairways and ships stairs should be ordered in widths equal to or narrower than catwalk width.